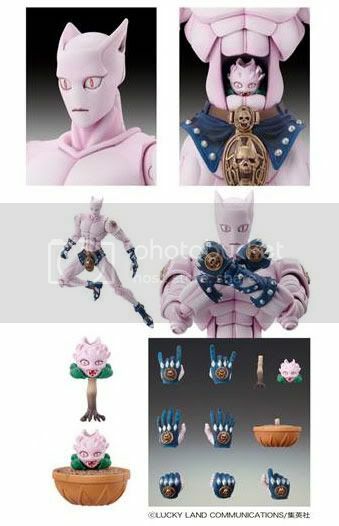 Medicos Entertainment is going to release the Super Action Statue Killer Queen 2nd action figure from the manga/anime JoJo's Bizarre Adventure. This figure is approximately 160mm in height and will be released in February 2011 around 3,500 yen. From the ultra-popular Super Action Statue, here series comes the Killer Queen! This figure is the repainted version of the original released Killer Queen, and the color specification now is based from Hirohiko Araki's. 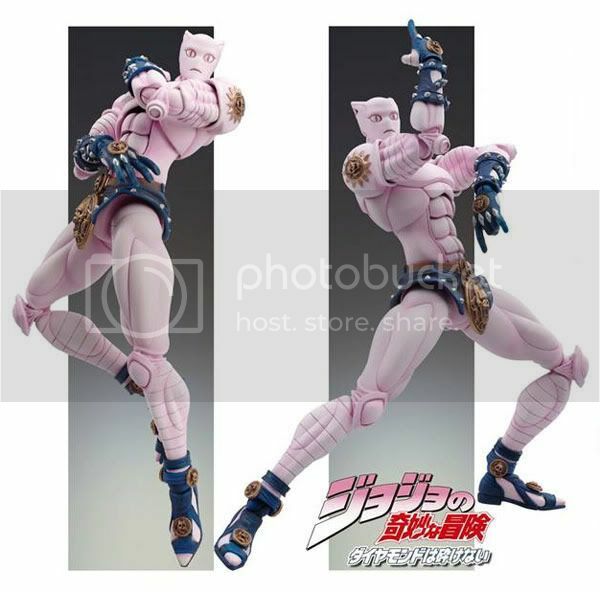 Sculpted to be as close as possible to the original character in the manga, Killer Queen features amazing poseability, great coloration, 7 option hands and even Stray Cat! The Stray Cat can be stored inside Killer Queen's abdomen, and a sound effect plate is also included!